DUNDEE (6/23/16)-Dundee Central School held the seventy-seventh annual graduation ceremony, Thursday, June 23 on the front lawn of the school. Members of the class of 2016 were recognized for academic achievement, commitment and unity throughout the program. Valedictorian Jeanette Jayne spoke about the closeness of the class saying "this strive for greatness has caused us to develop a work ethic like no other. [...] Take a moment to think, would you be here on this stage today without the support of one of your classmates?" She continued, "the wisdom that we have gained through our experience at DCS will serve as the basis for what is to follow. Although there is not a lot of certainty in life, there is one thing that I am certain of. You will always have a place to call home in the town of Dundee, New York." Courtney Fish, the class salutatorian, mentioned overcoming adversity in both the classroom and beyond. "Never wait for tomorrow to say something that should be said today," she remarked in regards to learning from a loss. Looking forward to the future she added "one of our greatest privileges in life is freewill to go where we want, do what we want, and ultimately become who we want." 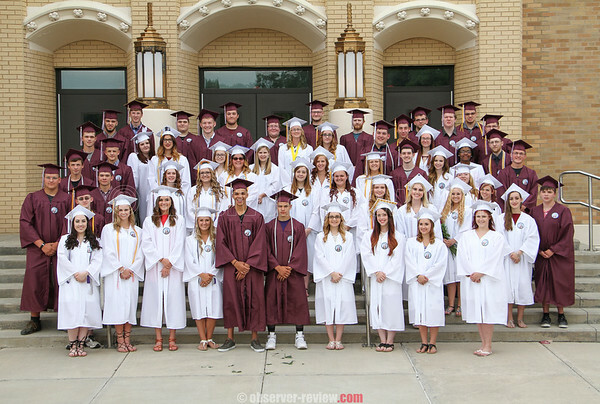 Dundee's class had 57 students graduate and Superintendent Kelly Houck noted that they completed 1782.75 hours of community service collectively.